Magic Bullet Looks is a powerful suite of tools and presets for your NLE to help you dial in, achieve, and explore new looks and styles for your motion graphics or visual effects work. Library Preset -198 new, fully-customizable presets, designed to match the latest Hollywood films and TV shows. Powerful Tools – 41 tools including color correction tools as well as beautiful camera-based effects such as Anamorphic Flare, Haze/Flare, Diffusion, Shutter Streak and more. Film Stocks – Get the look of various film stocks and emulate the photochemical process used in motion-picture film. 22 Negative Film Stocks and 4 print stocks are included. Cosmo Tool – Instantly fix and balance skin tones, reducing wrinkles and removing skin blemishes. 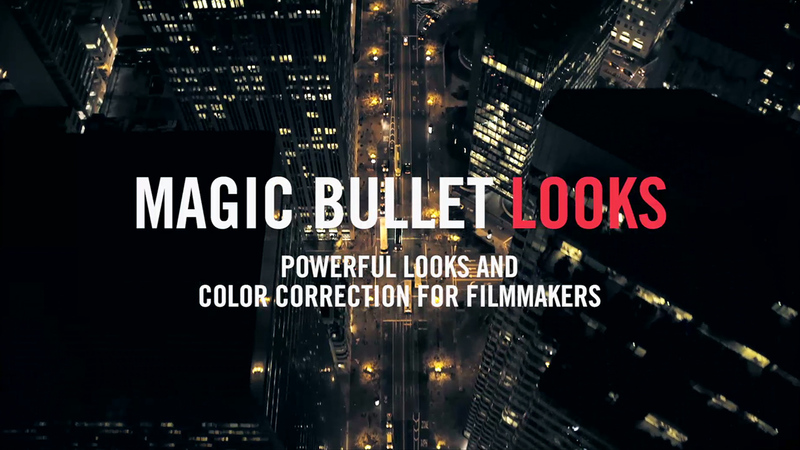 Magic Bullet Looks is essential to take your color grading and stylization to the next level. Their tools make it easy to dial in the look you want, explore new looks, achieve a filmic look with a few seconds, and add unique elements to your projects. Whether you’re doing motion graphics or visual effects work, Magic Bullet Looks has tons of tools to help you improve the look and style of your project. Forget Colorista, forget Cosmo or Mojo, because Magic Bullet Looks has everything you need inside for color grading, color correction, and skin tone correction.